On Friday 23 June 2018, the Unrepresented Nations and Peoples Organization (UNPO) and the Initiative De Resurgence Du Mouvement Abolitionniste En Mauritanie (IRA) submitted a joint report on the occasion of the 64th Session of the Committee against Torture, during which Mauritania will be under review. The report draws attention to cases of torture and ill-treatment perpetrated against people from the Haratin community, in particular against numerous peaceful activists who had been arrested and detained as part of Nouakchott’s systematic crack-down on the anti-slavery movement. The report can be accessed and downloaded here. Despite the adoption of Law No. No. 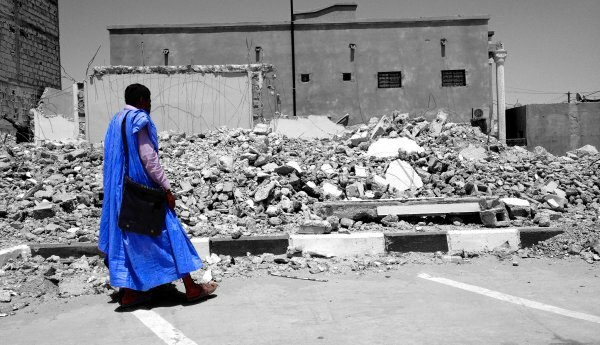 033-2015, on the prohibition of torture, the Mauritanian government continues to perpetrate acts of torture, particularly against members of the Haratin community who denounce peacefully the dire situation of slaves in the country. The use of torture and other ill treatment is widespread in Mauritania, particularly in the early stages of arrests and detention. Police and gendarmerie units often resort to ill-treatment to extract false confessions from detainees. In March 2017, Mr. Boubacar Ould Messaoud, member of the National Mechanism for the prevention of torture, declared that the law has not been implemented in practice. He reported cases of torture in jails, gendarmeries and police stations, perpetrated by security forces and the police, who often prevent the victims from entering police stations or courts to report these cases. In principle, under Mauritanian law, prosecutors can and must investigate all allegations of torture and ill-treatment according to Article 9 of law No. 033-2015. However, despite the existence of legal safeguards, it is difficult for detainees to bring forward claims of having been ill-treated as they very rarely have access to lawyers. Furthermore, victims are often prevented from filing a formal complaint against perpetrators of such human rights violations. In rare cases where victims succeed in bringing forward a claim, the judiciary lacks the will to sincerely investigate and prosecute allegations of torture and ill-treatment. All these obstacles contribute to impunity for the perpetrators. Create an enquiry commission in charge of investigating allegations of torture, in accordance with Mauritanian and International law. Guarantee the respect of freedom of expression and association of the members of the Haratin community, including antislavery activists, by ceasing systematic repression of members of IRA and other human rights movements. Guarantee that education and information regarding the prohibition against torture is fully included in the training of law enforcement officials or any others who may be involved in the custody, interrogation or treatment of any individual subjected to any form of arrest or detention. Enforce the Law No. 052/15 from August 2015 on the criminalisation of slavery and publish official national data on the state of slavery in Mauritania.